“Satay is not an everyday meal” told me once a very kind and talkative taxi driver. I asked him whether he found that Kajang Satays were really the best in Malaysia ” From Kajang satay went to all Malaysia” is his reply. In fact this very appetizing meat skewers served with peanut sauce ,Satay, comes from much further than Kajang. Word of wikipedia, it does. Like the muezzin singing that fills the air with a lost memory we long to find again, it comes all the way from Middle East . It could have come through land through India, through the steppe of barren and sand storm swept central Asia, but it came from the sea, from Indonesia where Indian Muslim traders and Dutch East Company were encountering each other on grounds of commerce and religion. And satay came along with commerce and religion, who knows whether it is the necessary bit of fun to bear commerce and religion I would add. The very word we see in most of the restaurants , “satay” , should be spelled “sate” here in Malaysia. 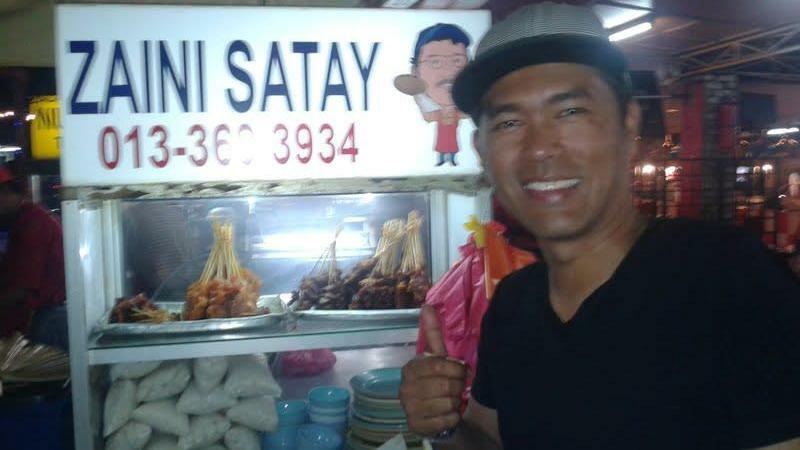 “Satay” is the Indonesia version of the thing (this is Wikipedia again). 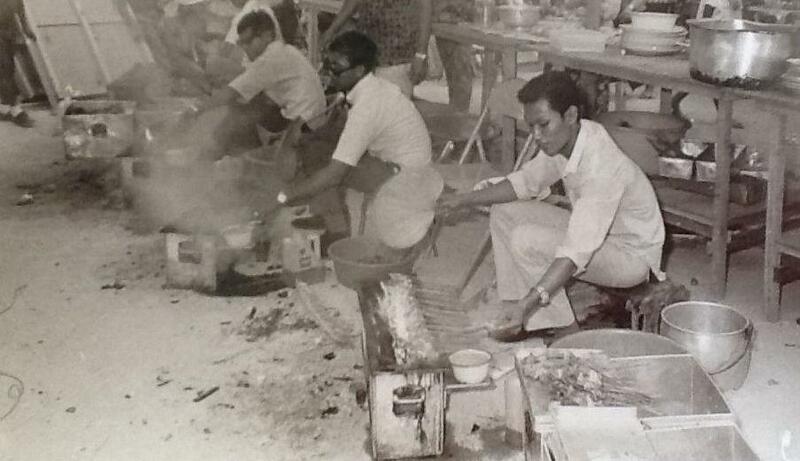 Yet I have never seen sate written anywhere, neither in a restaurant , nor on a hawker stall. So be it, Satay. The most typical dish of Malaysia? 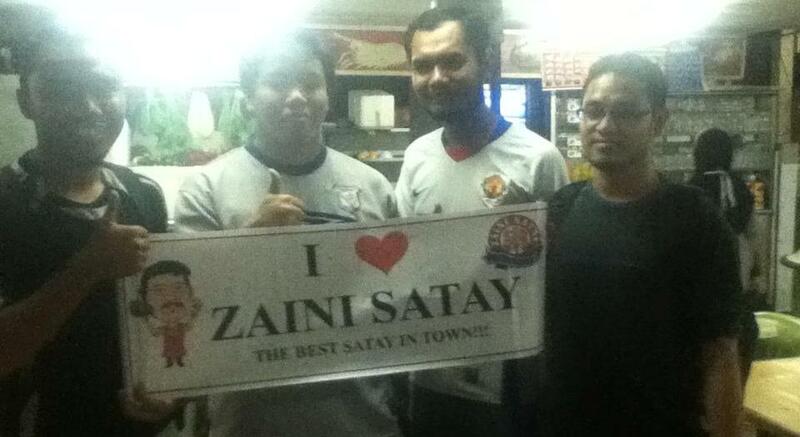 Well, I told to myself let’s try to taste the real Satay here in Kuala Lumpur and I went to Kampung Baru. From my memories Kampung Baru was this sleepy neighborhood in town just next to the Chowkit Market, that chinese market where the lonely planet of the town advised not to go with open shoes. Today Kampung Baru has a LRT station nearby and lies cut by three colorful streets , full of hair dressers, hawker stalles and even a steakhouse stop. The houses are unmistakably Malay in style. I arrive here just when night is about to fall, at the end of the prayer. The rain has just stopped and the children start to pour out in the streets. It is sunday night and it is just time to bite a last moment of fun before the next day comes. This is supposed to be the Malay core of the city centre. I should find satay here. So i start to walk : there is alovely bar on the corner of the street , very relaxed and easy going. There is no satay but the place is named “pau”after the buns that are sold around this place of the world. A portuguese sounding name for a sort of chinese food. This must be another story. I slowly keep walking and end up on the fringes of Chowkit Market. The durian smells fills everywhere. There are parties of people in small eateries and almost everywhere satay is announced written on the windows in that sort of nail varnish paint. There is chicken satay and even offal satay (i suppose). However all the places come with a rumpled feeling, maybe the rain and the durian make the trick. It does not seem here the place for sate. On my way back i stop with Nur for a burger. She offers me to try her burgers, i wonder whether i am about to discover that the burger is in reality invented in Malaysia when i ask whether it is a local thing. Alas no, with that soft extending smile (smiling seem such an easy stretch here) so common here, she replies that no , it is just a normal burger. Well I am hungry. So I have time to listen to how she knows very well Rome,and how much she enjoyed with her husband stopping in cafés everytime they had the chance to go there. I look at her, she is very young and very pretty , she wears a veil and sport suite below. Her husband, who joins us after the Evening Prayer, is dressed in a traditional cap and sarong. So I cannot resist ask why they went so often to Rome. In fact they were flight attendants for Malaysia airlines, now they have stopped to open their burger place. Every dream is still shining as dreams should be , i repeat to myself. At this point i have to ask where i can find a good satay in Kampung Baru. Nur looks puzzled. 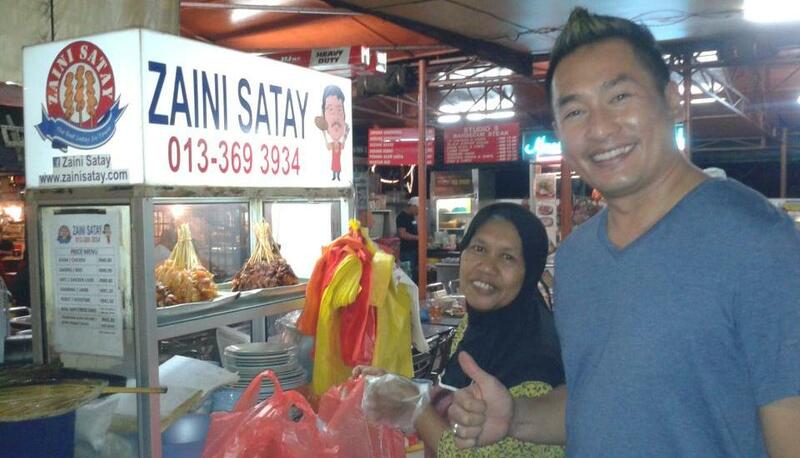 There are a couple of “ok “places, but in fact when she and her family feel like satay they go to Zaini, he is in Ampang, in a small hawker stall, in front of the the Seven-Eleven in Ampang Jaya. Do I know the place ? she asks me. Yes , of course i know, it is just down where I live….